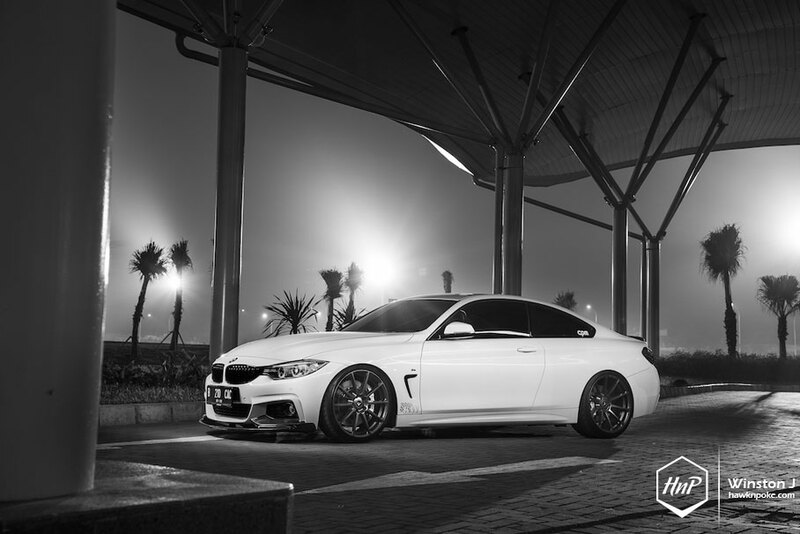 Ever since its inception in 2012, the 4-Series has been getting a curiously high level of attention from media and enthusiasts alike. 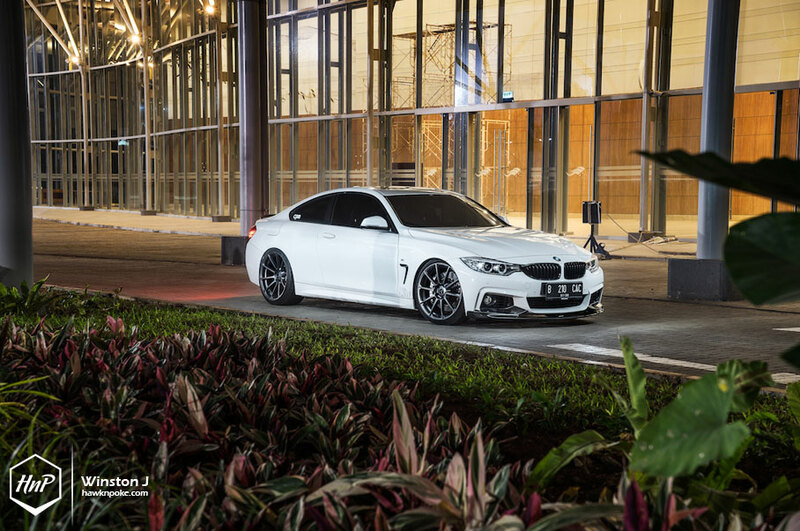 While most are trying to wrap their heads around BMW’s agendas in ‘+1’-ing the 3-coupes into becoming 4-Series, others are left meticulously in awe by the new model’s fresh appearance and above-average performance. 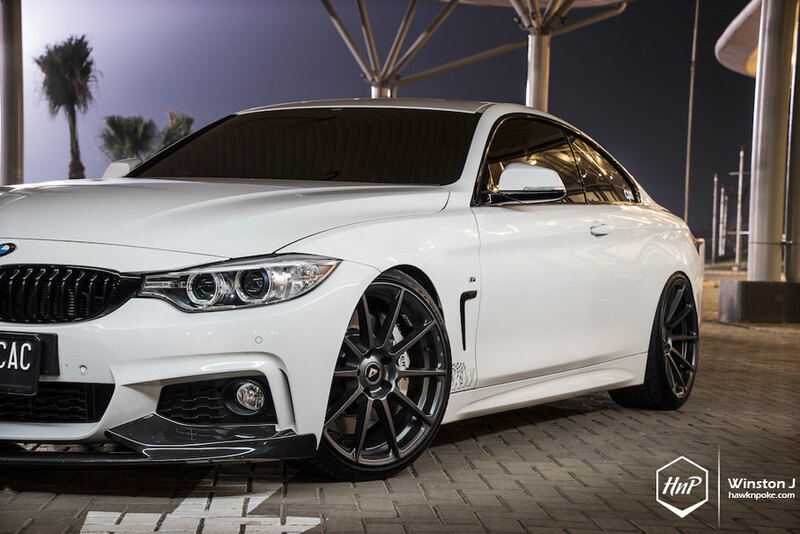 It’s sleek, it’s wide, and it’s undoubtedly quick (435i pushes around 300hp in stock form). 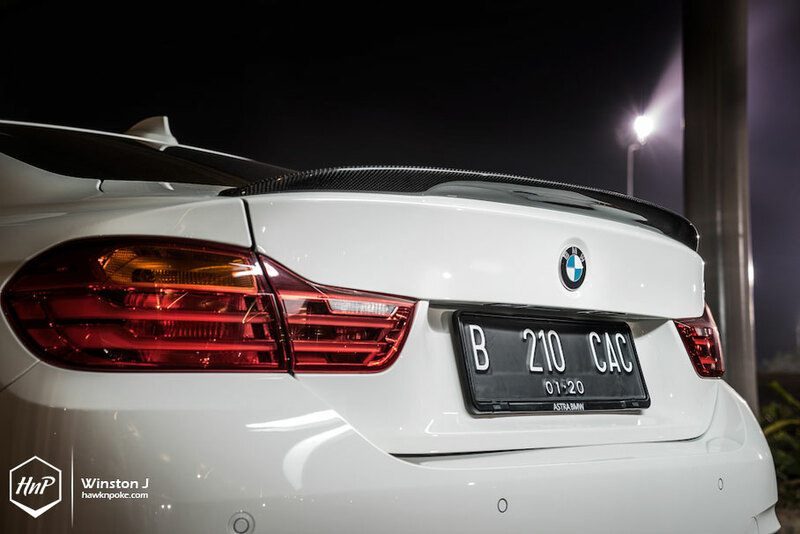 Yet for some reasons, people also found the 4-Series to be rather boring. 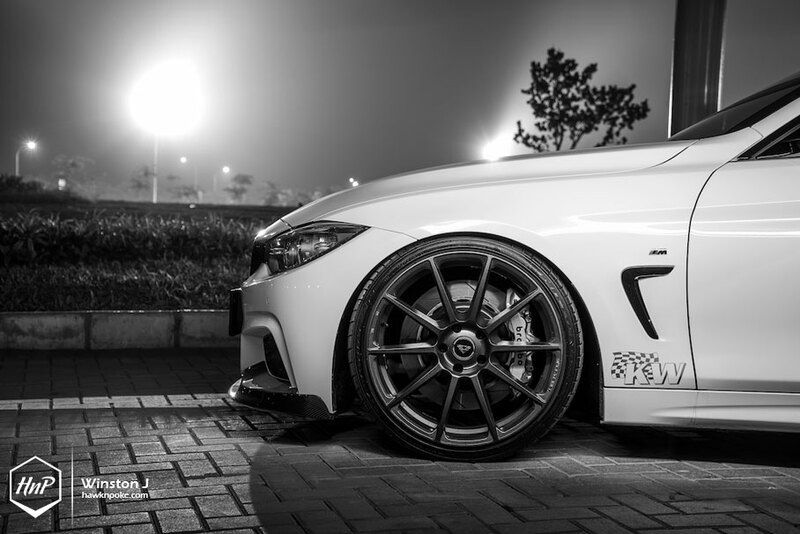 It simply drives fast without fascination and looks good without any superficial design cues. A little dull, a tad underwhelming. But somehow I do think it’s all been planned to be that way. It’s as if BMW is the chef who has found a delightfully new tasty recipe to caviars, yet deciding to present them in takeaway boxes instead. A downright unappealing package to an otherwise perfect dish! And I do think this is because they’re saving their best presentations left to the M versions instead. Yes, the M4. The famous rebirth of the icon. 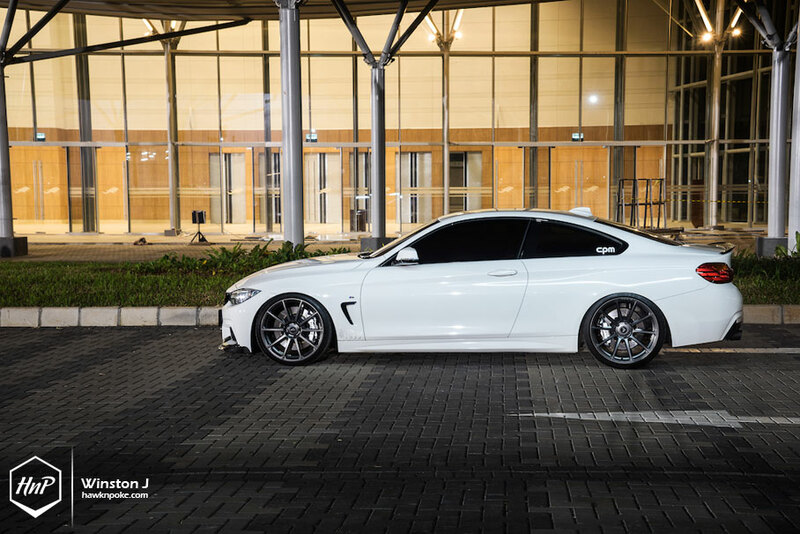 Despite all the rants that people are throwing at BMW for making the regular 4-Series such a huge understatement, I truly think it’s a smart move for the company. In the automotive industry, unless you’re building hypercars, it’s never been a good idea to fuse all your brilliant specs into a single production car at once. It would’ve costed more and fewer people would’ve cared to buy them. What people seek are the specs, prices and packages that’ll satisfy their particular needs. So what’s left to do is to divide your ideas into separate product packages, with each one specifically targeted to different buyers. Exactly what BMW has been doing with their 1, 2, 3, 4, 5, 6, 7, i, X, Z, and M Series of lineups. 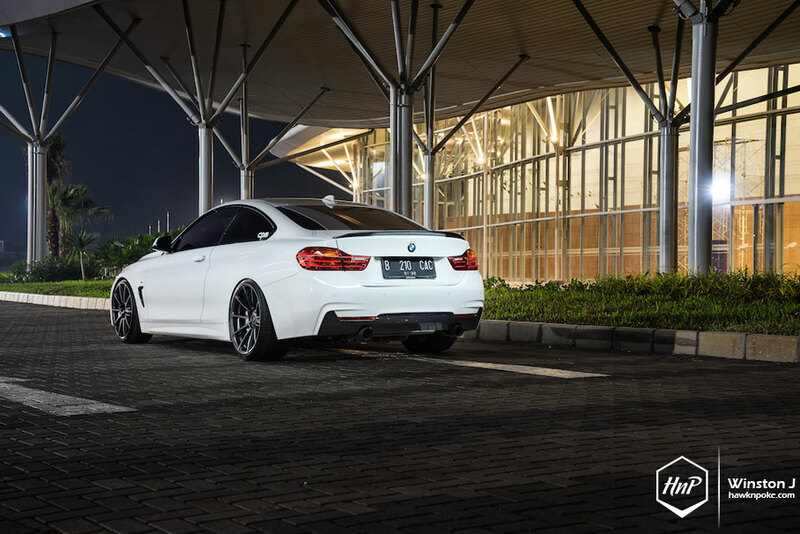 This 4-Series, therefore, has especially been designed for those who seek sporty coupe appearance (as opposed to 3-Series sedan looks), yet not wanting to jump into some full-blown performance cars yet. A middle-ground. 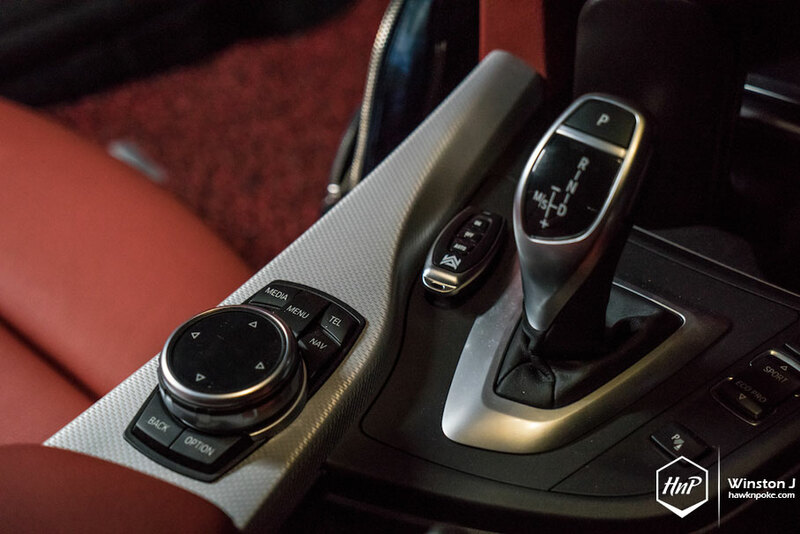 With all the great engineering caveats that’s been thoroughly ‘undertuned’ in the 435i, we’re left to consult with aftermarket manufacturers to unleash the beast BMW has hidden within. 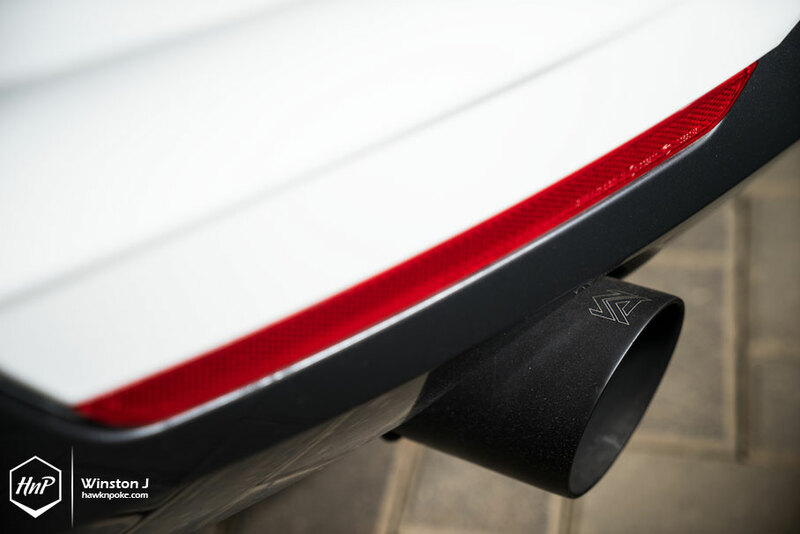 Utilising the tune-ready 300HP 6-cyl turbo engine, it’d only take some simple airflow (intake-exhaust) and ECU upgrades to bump horsepower figures into nearing 450HP territory. Exactly what Calvin has been doing with his now performance-unleashed sporty 4. 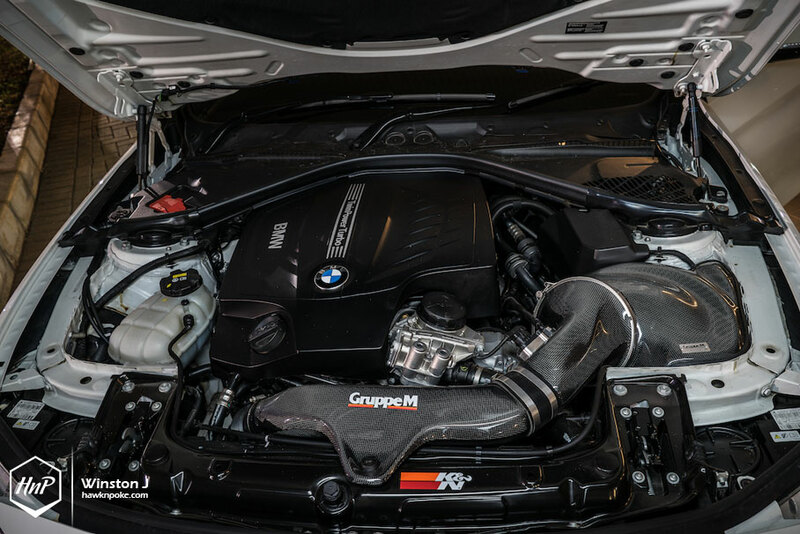 Relying on Gruppe M intake, ARMYTRIX full exhaust, Manic ECU tune and Wagner intercooler, Calvin has achieved what BMW has never intended the 435i to achieve: a true, thorough-bred, respected level of performance. 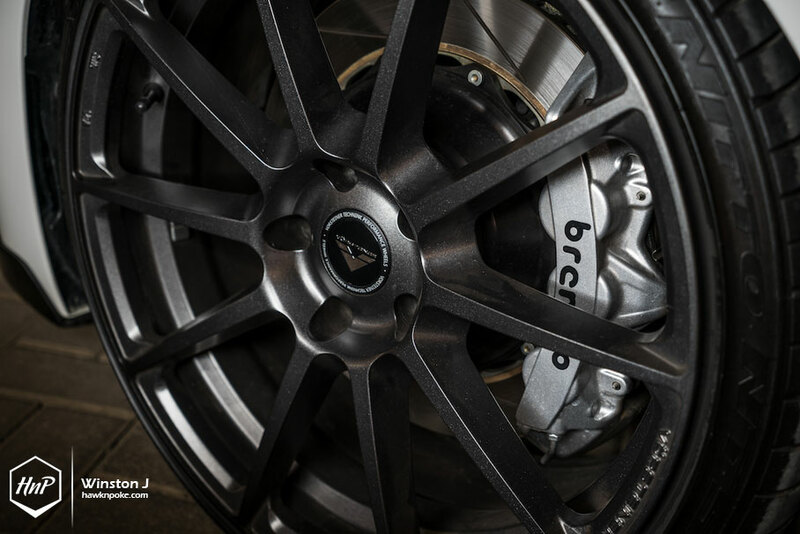 Further complimented by best-in-class electronically adjustable suspension system (KW DDC) and outrageous stopping power of Brembo GT brakes, it’s apparent that Calvin hasn’t exactly been cutting corners to get to where he’s going. He believes in real quality products with real in-world performance benefits. 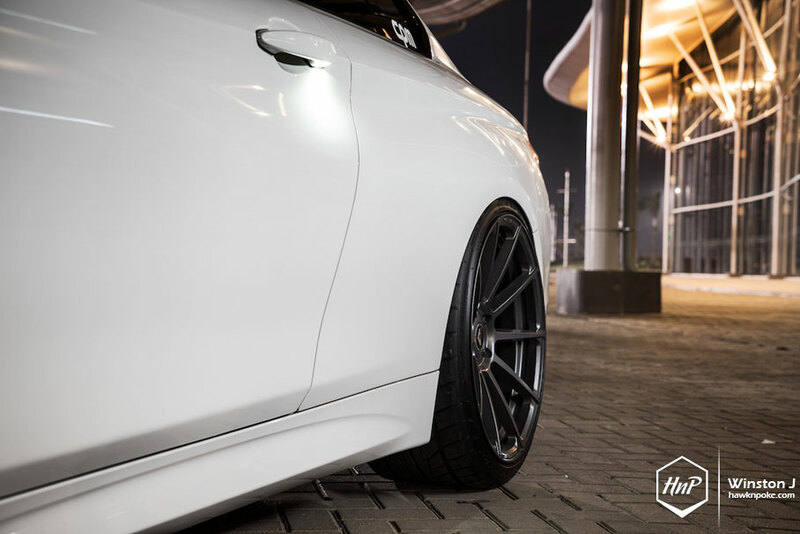 None of the parts are meant to be insignificant; they’re there because the car needs it to be there. Exterior-wise, Calvin is sticking true to his performance orientations. 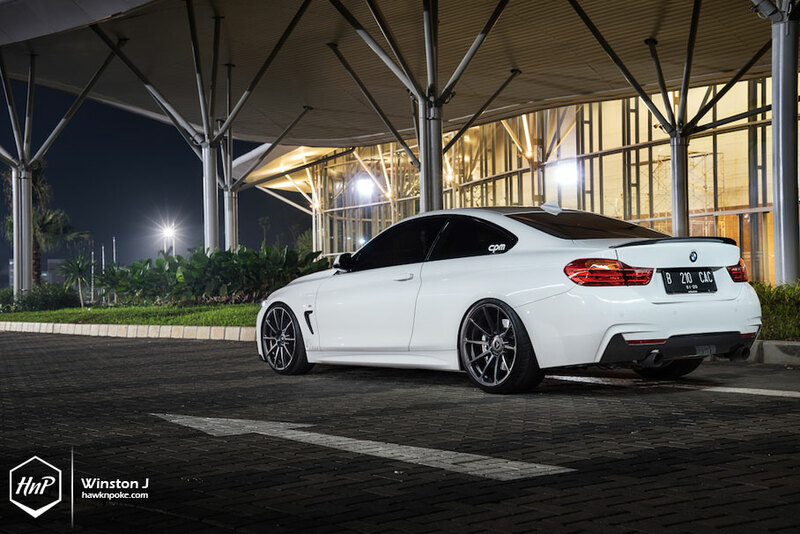 Filling the 435i’s rear wide arches is the task left to these lightweight flow-forged Vorsteiner wheels, while M Performance parts are in-place to further improve the aerodynamic characteristics of his energetic M-Sport package. 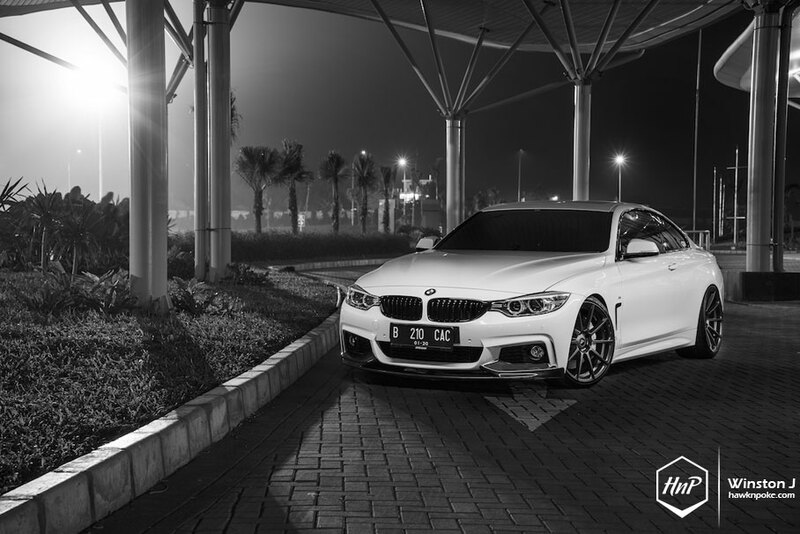 A truly aggressive and alluring 4-Series look that could never be found rolling out of BMW’s regular showroom floors. 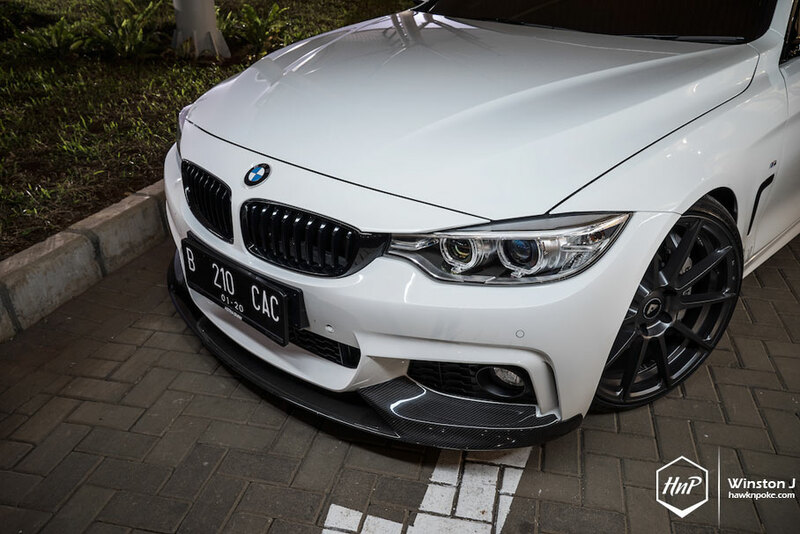 A success in creating one of Jakarta’s most aggressive 435i.